It seems that Turtle took an unexpected trip and got a mite lost inside a particularly cosy snood. after a brew or two, obviously. 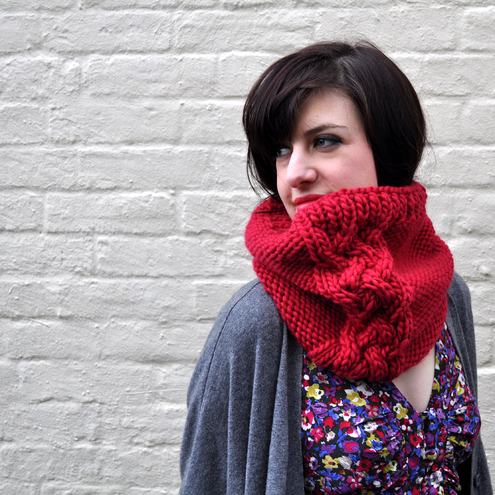 "The Chunky Cable Cowl in Red" from Dolly Knits.